040b – Batman | All Eighties Movies. All The Time! 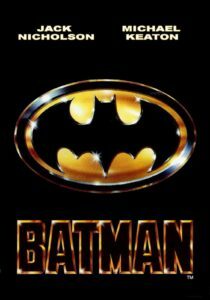 Continuing on same Bat Time, same Bat Channel, this week Gidgit and Angry enjoy the last half of one of the biggest movies of the 1980’s – Tim Burton’s Batman! And we shout out congratulations to one of Angry’s favourite podcasts – The Unwritable Rant on 100 very funny episodes! Check out Juliette Miranda HERE! I so agree Michael Keaton is the best batman. Loved the double podcast giving this movie the love it deserves. And I’m not even a big super hero person but this movie always has a place in my heart as does the Michelle Pfiefer/Danny DeVito one. Love both. Oh and my husband ADORES this movie and told me to tell you thanks for the great podcast. We both learnt some things regarding trivia we never knew. LOVE you give facts and behind the scenes information. Cheers. thanks for the two parts and showing such respect. love the trivia. i feel i could be friends with both of you! hi Tenelle, thanks for writing and letting us know what you think! such a great film totally deserved the two parts!